Here at Vodafone we’re staying focused on delivering better broadband for Australians. We’re doing this by fixing the things that may frustrate people with their current providers. Today we’re announcing three new initiatives that continue to break out of outdated and complex offers from the traditional broadband market. Alongside our 30 Day Network Satisfaction Guarantee and 4G Back Up they’ll deliver much-needed simplicity for customers connecting to the nbn™ and give Australians the broadband experience they deserve. Some legacy telcos require customers to buy a home phone as part of their broadband service. This is because they’re addicted to getting revenue for a service that lots of people don’t want. The vast majority of voice calls are now made on a mobile so most home phones sit on the kitchen bench gathering dust. Most customers rarely use their landline but some want to keep their home phone number to stay in touch with relatives and old friends. In response to this customer need, we have developed Vodafone Mobile Landline. Vodafone Mobile Landline is an innovative solution that lets people ditch their landline device without losing their home phone number. It simply redirects any calls made to a home phone number to the customer’s chosen Vodafone postpaid mobile number. This means your home phone is freed from your address. Even if you move houses with Vodafone, you can keep your old home phone number. The caller ID on your mobile will tell you who’s calling and can leave a message on your mobile voicemail. This means less missed calls and one less hassle for people who move house, whether it’s to a neighbouring suburb or across the country. The Vodafone Mobile Landline service is priced at $5 a month with no lock-in period, plus the cost of making a call from your mobile. This is a far cry from the $30 to $40 people pay with some other telcos to keep their traditional landline. Initially this service will be available for Vodafone nbnTM customers, but we will progressively offer it to our postpaid and prepaid mobile customers. Customers should get a better deal if they buy more services from their telco. All Vodafone postpaid mobile customers who sign up to a new Vodafone nbnTM service will receive up to $10 off their monthly bill. If you think about this in traditional telco contract terms, over the course of two years this could stack up to $240 dollars in savings. That’s enough to cover a standard content streaming service subscription! It’s simply another way for us to thank our loyal mobile customers who take up multiple services with us. While we’re at it, we’re making Vodafone nbn™ even simpler and introducing a range of changes and new additions that respond to how people want to use their service. All Vodafone nbn™ consumer plans will now simply be month-to-month. While we’re at it, you’ll pay nothing upfront for our Vodafone Wi-Fi Hub Modem, making it even easier for people to switch without facing substantial upfront costs. Currently, most major telcos impose significant upfront charges on their month-to-month broadband plans just to get connected: TPG charges $99, Optus $200 and Telstra charges up to $435! Unsurprisingly, customers resent having to pay these charges before they can get their service connected. Instead, at Vodafone we’re dropping our upfront modem charges, and covering the cost of our 4G Back Up Vodafone WiFi Hub modem if you stay connected over 36 months – which will be $5 per month over 36 months – by giving customers a $5 credit on their monthly bill. If a customer decides to leave before the end of 36 months, they simply pay the remaining months’ cost at $5 per month on their last bill. So, you won’t get slugged with upfront or connection costs and the longer you stay with Vodafone nbnTM, the less you’ll pay for your modem. Wi-Fi is now the main way Australians connect all their devices to their home broadband. The Vodafone Wi-Fi Booster™ extends people’s in-house Wi-Fi signal so they can work, watch and relax online from more rooms in their home. It’s super easy to set up, and connects up to 32 compatible, Wi-Fi enabled devices simultaneously, so is suitable for even the largest of families. It’s available to purchase for $180, or just $5 per month on a 36-month interest free accessory payment plan. This innovative device builds on the successful launch of Vodafone TV – a high performance entertainment and content device that allows customers to take full advantage of a huge range of content and streaming services, without making people pay extra for content they might not even want. Since launching Vodafone nbn™, we are constantly seeking out ways to smash the rigid ways of broadband forced onto people by the old-school telcos. It’s clear to us that Australians are seeking an alternative to what’s currently available in the market. People tell us this every day when they come into our stores. We’re always looking to make things work better for our customers – the people using our services – so if there’s more we can be doing to make your broadband life simpler, let us know. *Plus $0 per month Vodafone Wi-Fi Hub when you stay connected for 36 months. If a customer leaves before 36 months, they just pay out the modem at $5 for every remaining month out of 36 months. For example, if you leave your plan in month 12 of 36, you will pay $120 ($5 x 24 months) for the modem. – Vodafone Mobile Landline: $5 per month. – Vodafone TV: $144 outright, or the option of $4 per month over 36 months, $6 per month over 24 months, or $12 per month over 12 months. 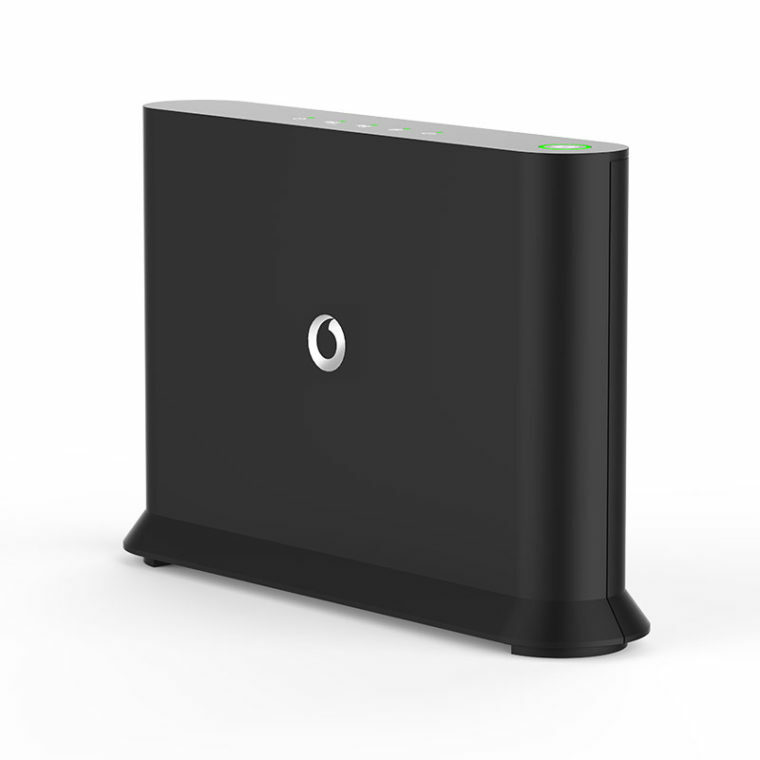 – Vodafone Wi-Fi Booster: $180 outright, or the option of $5 per month over 36 months, $7.50 per month over 24 months, or $15 per month over 12 months. – Content subscription required for apps on Vodafone TV. – Vodafone nbn™ available in selected areas. – Loyalty offer ends on the 30th of September 2018. Find out more about Vodafone nbn™ plans and features. As General Manager Fixed Broadband at Vodafone, Matthew is a global thinker that looks beyond the day-to-day challenges to find comprehensive and sustainable solutions. He has a strong academic background as a Rhodes Scholar and is passionate about business strategy and political affairs.